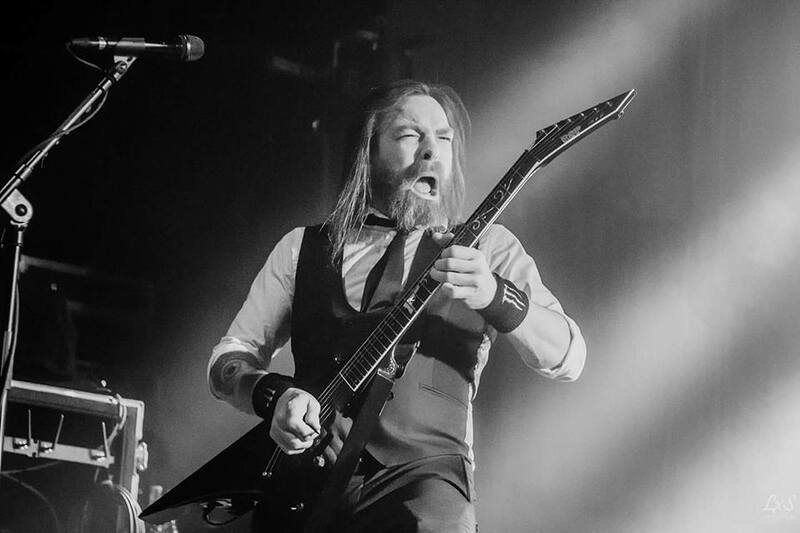 You are at:Home»Live Reviews»Bullet For My Valentine slay Brixton Academy to close out the year in style! 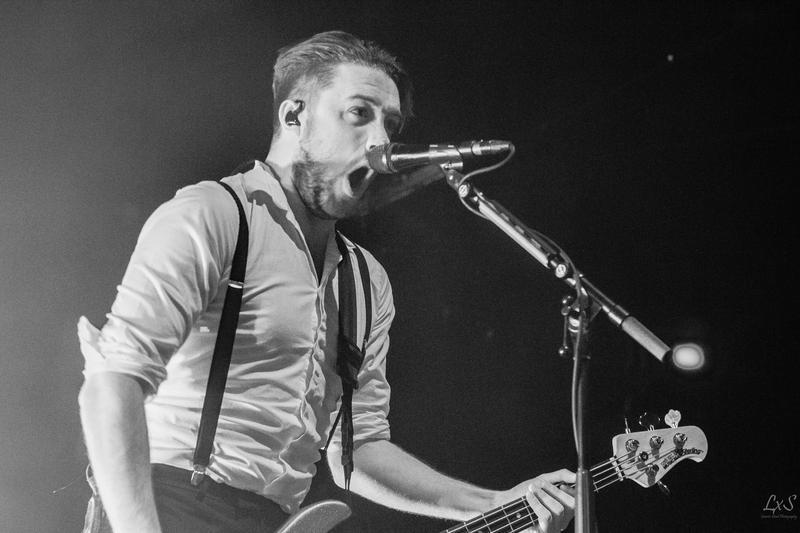 Bullet For My Valentine slay Brixton Academy to close out the year in style! 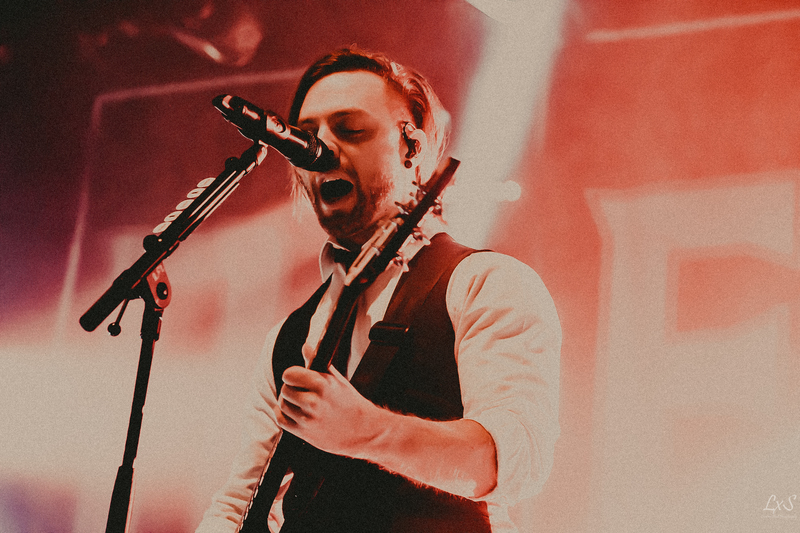 A few days ago, Bullet For My Valentine announced that the last two nights of tour would be filmed for the purpose of their latest live DVD. Both nights took place at Brixton Academy, and the second night was to be playing out their debut album The Poison in full on its tenth anniversary year. First on the Bullet For My Valentine bill was Cane Hill (7) who had come over from New Orleans to be here. 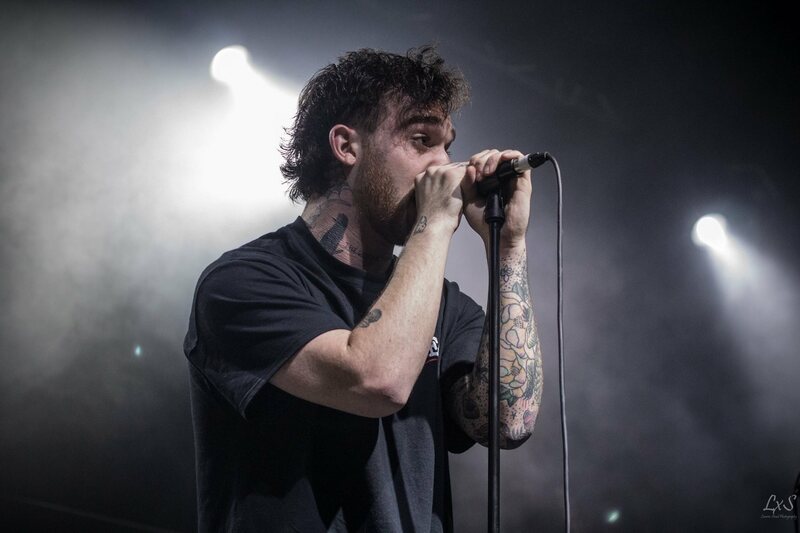 Last time they were over here was in May when they played at Slam Dunk Festival, and as a relatively new band they haven’t been playing shows in the UK for very long. This didn’t seem to make too much of a difference though: with their ferocious yet laid-back style, they had hundreds of new fans after just a couple of songs. Lining the barrier were the main culprits for screaming back the lyrics – it was obvious they’d come early for this reason – but even people at the back recognised some of the lyrics or were at least bobbing along. An enjoyable set, which showed they could well go on to do big things in the near future with a bit more touring round the country and releasing more music. Next up were Killswitch Engage (9) and it was clear as soon as their banner was lofted high thata significant portion of the crowd were either there for them or it was a lucky bonus. They burst out onto the stage with Adam D shouting various obscenities to a crowd that was ready for both the music and stage presence that Killswitch always bring. Ripping through one of the four setlists they had prepared for this tour was impressive – they had time for not just the seven or eight most support bands had, but twelve every night. 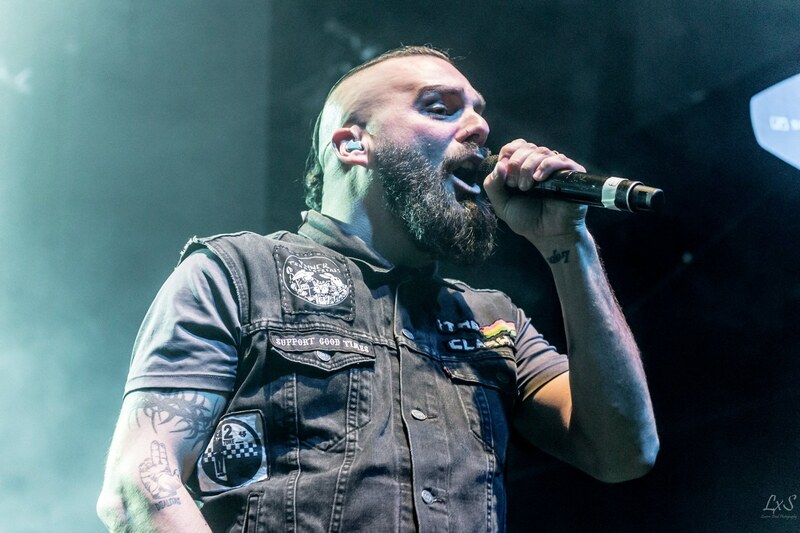 The highlight of their set was frontman Jesse Leach jumping into the photo pit and instructing the crowd to split so he could get into the middle of a circle pit for Rose of Sharyn. The crowd did as he asked with no questions: a true testament to the sheer power of Killswitch‘s performance. Elsewhere, Adam was running around like a maniac with a guitar held vertically above his head as if possessed and the rest of the band just put on a regular good show. Excellent music and excellent stage presence, very exciting indeed. 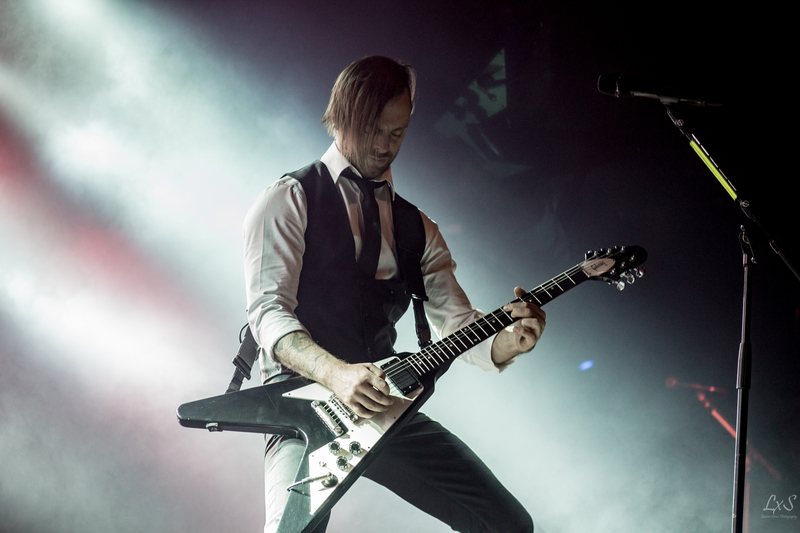 Bullet For My Valentine (10) came out to a readily-rabid audience and had something to prove to both those in the Academy and people watching the DVD at home: that their ten years from releasing The Poison to today have only been the start of their careers. They walked out into the packed Academy in front of the giant ‘BFMV’ banner at the back of the stage and without any form of introduction (Intro feat. Apocalyptica aside) burst into Her Voice Resides and 4 Words (To Choke Upon) which both continued the singalong spirit that Killswitch had started. The lasers and smoke from the outset showed that the band had gone for a high budget and were going to go all out for this DVD – a fact that bore true throughout the night. Bullet then paused for introductions to the show and acknowledging the fact the performance was being recorded, then introducing the next track. The audience were all surprised, not by the track (obviously the album denotes what that would be) but by the fact that “the song that brought [them]here” would be having its “last time [they]play it for a long time” – this was the end of Tears Don’t Fall being a part of their setlist for a while to come. They didn’t hold back with it though, and it turned into one of the most energetic renditions the UK has ever seen as the Academy went wild. This was followed by fan favourite Suffocating Under Words Of Sorrow (What Can I Do) to continue the feeling. The rest of The Poison was played out yet the energy didn’t get any lesser despite tiredness kicking in for many, and the singing got no quieter either. Finally, the album playthrough came to a close with The End, which couldn’t have been better written to sum up the night in one track. 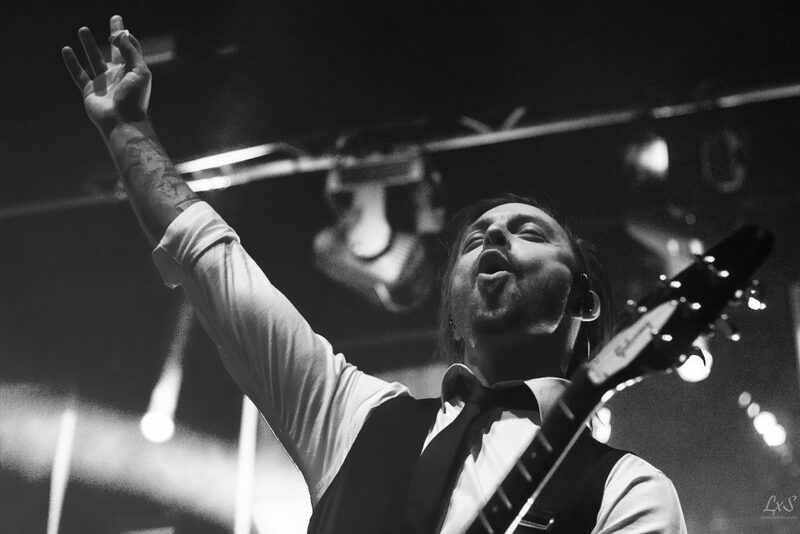 The mixture of softness and thrashing metalcore are what defined the early days of Bullet For My Valentine and they were clearly demonstrating all night how they still had it in them despite their more refined sound in recent years. They left the stage fairly abruptly and the crowd chanted a mixture of “Bullet!” and “we want more” as if in a football stadium as they were being lauded like kings. The lights came back up and by popular demand Bullet For My Valentine were walking back out onstage to the sound of V, the introduction track to their latest album Venom. The crowd didn’t need two guesses as to what would follow – in no time at all they were shredding through debut single from that album No Way Out as the lasers and closed the encore with Hearts Burst Into Fire followed by Waking The Demon that had bursts of pyro to coincide with the kick-drum beats to finish of the 21-month touring cycle they have been on up to now. The onlookers didn’t just let them go though: as the band lingered onstage the chants of “Bullet!” returned. They finally left the stage but the whole venue didn’t get any quieter at all. Just when the crowd were starting to pour out of the doors, the lights onstage came back up and a sound started to come through the PA again and everyone stopped in their tracks. Then came a sudden explosion (literally an explosion) onstage and Bullet For My Valentine came running back out. This second encore was in the shape of their brand new single which debuted just a couple of weeks ago, Don’t Need You, which was a return to The Poison-style sound that started their careers off so brightly. Surprisingly, there wasn’t a single person around that didn’t know the words despite how recently it was released and it was a fitting end to the night with all the energy that had been displayed across the previous songs.